The Maine Department of Health and Human Services says it’s rebuilding the ranks of public health nurses, whose numbers fell by more than two-thirds during the first seven years of Gov. Paul LePage’s administration. But the department is hiring more slowly than required by a 2017 law ordering the state public health nursing program’s restoration. Health care providers who refer patients to the program say they see little evidence that the department is restoring Maine’s corps of state-employed nurses to its former strength. And some, wanting to be sure that their patients receive follow-up care, have created workarounds for a new patient referral system they see as opaque and unreliable. Health and Human Services Commissioner Ricker Hamilton told lawmakers in mid-February that his department had hired seven nurses, a nursing supervisor and a program consultant in the preceding two months. The hires go only about a quarter of the way toward restoring a corps of nurses whose numbers dwindled from about 50 in 2011, when LePage took office, to fewer than 15 as of mid-December. The law that passed in 2017, over LePage’s veto, requires restoration of the program to about 50 staff positions, including supervisors and program managers. But DHHS has missed the March 1 deadline the legislation specified, and the department has removed public health nurse job postings from its website. According to the department, more than 20 nursing positions remained vacant at the end of January, and the nursing program lacked a director. Asked about hiring progress since then, DHHS spokeswoman Emily Spencer simply said the February update to lawmakers was “the most recent update.” She confirmed in an email that the program continues to lack a director. In the written update, Hamilton blamed a nationwide nurse staffing shortage for slowing the pace of hiring. “Despite this crisis, we continue to make progress in complying” with the law, he wrote. With seven new hires, according to Hamilton’s update, the state had 21 public health nurses at the end of January. Their responsibilities have traditionally included responding to disease outbreaks and other public health emergencies; monitoring treatment for patients with active and latent tuberculosis; providing school nurse services in rural schools without their own nurses; and visiting new parents and their babies at home, especially drug-affected babies. Medical providers who request nurse home visits for new parents rarely know if nurses are assigned to their patients and visiting them at home. That’s been the case since the state deployed a centralized system last May, called CradleME, that handles all requests for professional home visits to new parents and their babies, as well as expectant parents. Hagler requests nurse visits for drug-affected babies she sees, babies who have lost a lot of weight, and babies with jaundice, she said. She also recommends nurse home visits for babies born to adolescent moms. Research has consistently found that sending nurses into new parents’ homes can reduce the likelihood of infant deaths and child abuse, and promote healthy brain development. Prenatal visits, the same research has shown, can reduce the likelihood of pregnancy complications and pre-term births. The staff of nurses who could perform those home visits dwindled as Maine’s infant death rate was on the rise, a trend at odds with every other state. Before CradleME, providers directly contacted the nursing program or public health nurses located in their region to request their follow-up. Nurses would visit local medical offices to talk about their services and cultivate relationships with health care providers. Today, with CradleME, medical providers fill out a form and fax it to the Maine Center for Disease Control, where staff review referrals and assign them to public health nurses or another group of state-funded home visitors from a service called Maine Families. Under CradleME, public health nurses are supposed to visit families with medical needs, while Maine Families home visitors — who don’t have medical training and work for contractors around the state — take on families with less intensive needs. But Hagler said she doesn’t have confidence that her referrals are ending up with the right program. The state hasn’t explained the details behind CradleME to health care providers. And in most cases, Hagler said, she simply doesn’t learn of the outcome when she sends in a referral. One high-risk baby for whom she specifically requested a nurse never received a visit, she said. There’s evidence that nurses are ending up with fewer referrals. Since CradleME’s statewide launch last May, public health nurses have received a monthly average of 83 referrals for maternal and child health, a category that includes prenatal and postpartum mothers, according to referral data obtained by the BDN. That compares with a monthly average of 350 referrals in 2013 and 278 in 2015, according to data reviewed by the BDN. The 2013 and 2015 data came from Pamela Correll, who served 14 years as public health nursing’s informatics consultant before retiring in October. In her role, Correll managed the nursing program’s primary data system. Spencer, the DHHS spokeswoman, said “it would be inappropriate” to compare referral numbers over time, since they come from different referral systems. As Maine CDC developed CradleME and piloted it at Eastern Maine Medical Center in Bangor, Correll said, the system was a key part of the LePage administration’s efforts to cut the number of patient referrals to public health nursing. With every iteration, Correll said, the criteria patients had to meet to qualify for a nursing home visit became more restrictive, meaning fewer patient referrals to nurses. When those referral numbers decreased, Correll said, “this was supposed to be a bragging right for us. It was supposed to show that we were following the mission” from DHHS leadership. At Eastern Maine Medical Center, hospital staff have started using a workaround so they don’t have to rely on CradleME and what they’ve found are slower response times, said Mark Moran, the hospital’s family service and support team coordinator. The hospital simply refers Bangor residents directly to their city’s public health department, which employs two public health nurses who conduct home visits with new parents. But the workaround doesn’t work for those who live outside Bangor’s city limits. Those patients are subject to the workings of CradleME. When Hagler needs to be certain that patients receive a follow-up nurse visit, she’ll refer them instead to Mid Coast Hospital’s own Community Health and Nursing Service. However, the hospital’s service bills patients; the state’s public health nursing services are free. Sen. Brownie Carson, D-Harpswell, who sponsored the legislation to restore public health nursing, said he’s disturbed by DHHS’ slow progress toward making the legally required hires and by the lack of available information about public health nursing services. 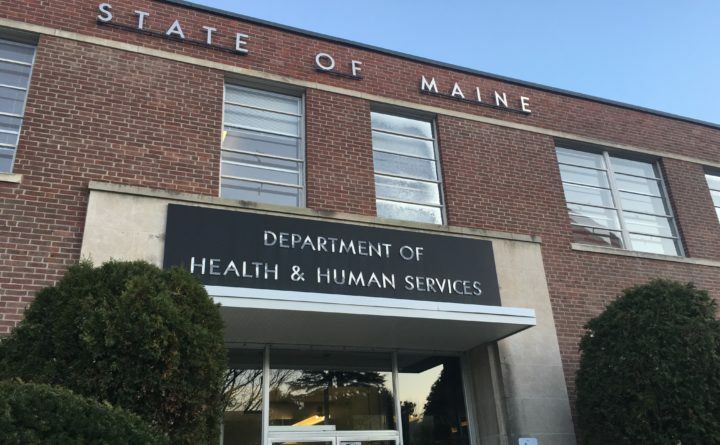 When Carson recently tried to meet with newly appointed Maine CDC Director Bruce Bates to ask him about public health nursing, he said Bates directed him to request permission to meet from LePage’s office.